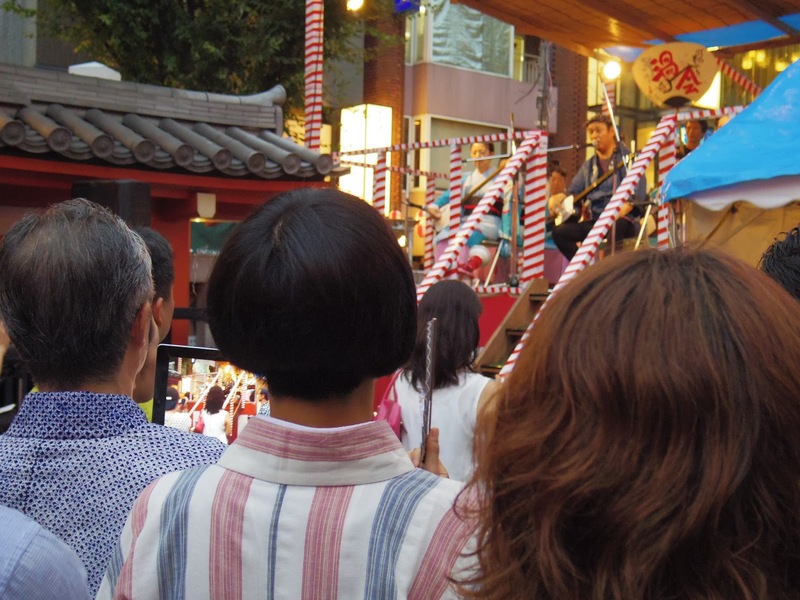 Kagurazaka Festival (神楽坂まつり) is one of the summer festivals that I always go to every year. 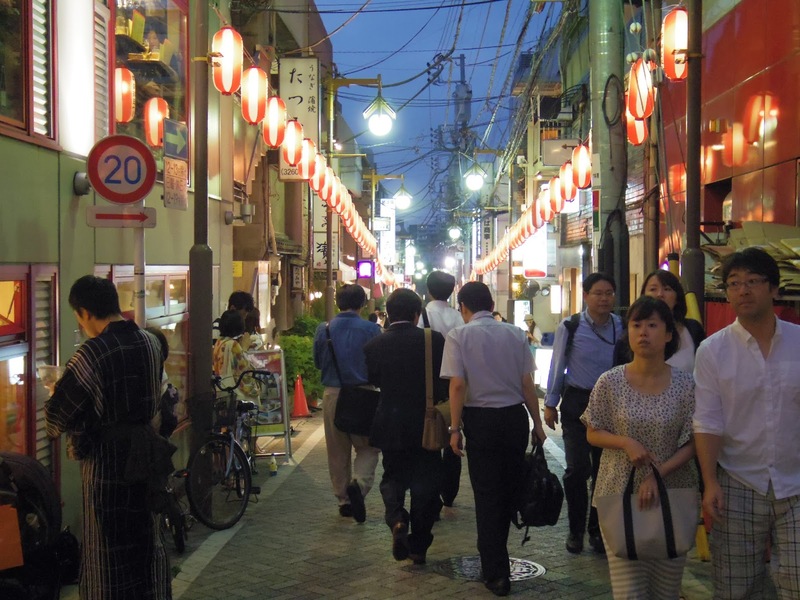 Kagurazaka is a place in Shinjuku that has a mixture of both Japanese and French culture. 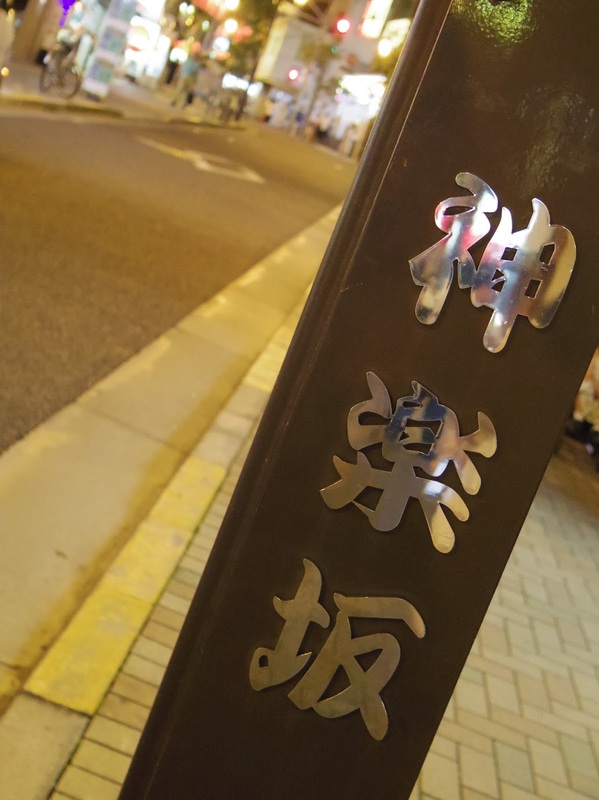 I think it’s largely due to the fact that the Institut franco-japonais de Tokyo is located in that area. 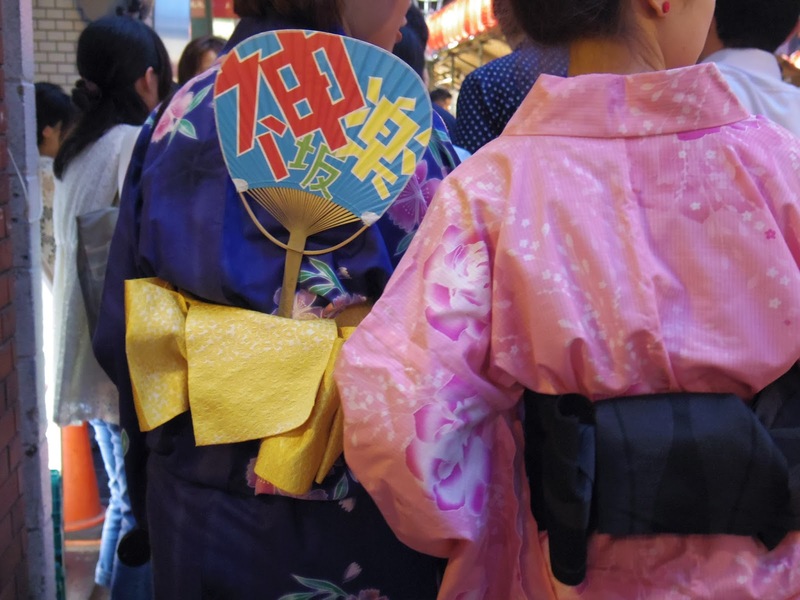 If you go to the festival, you’ll see that along with the traditional Japanese festival food vendors there are vendors for wine, galette, and sausages. 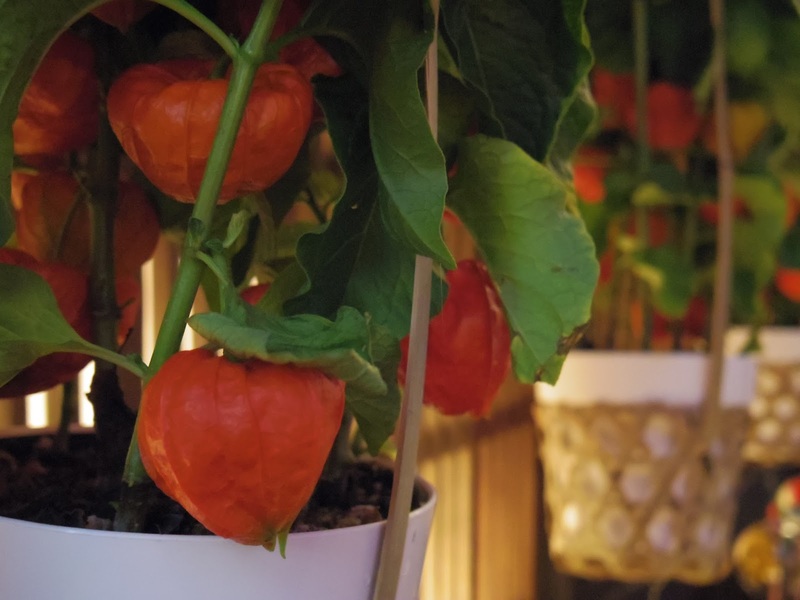 Sort of French, right? 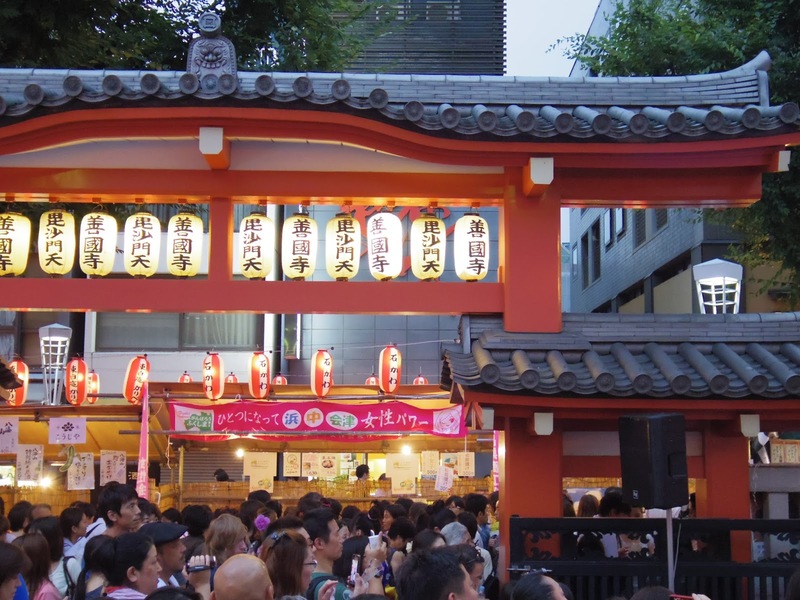 Kagurazaka Festival lasts four days and over 50,000 people come every year. 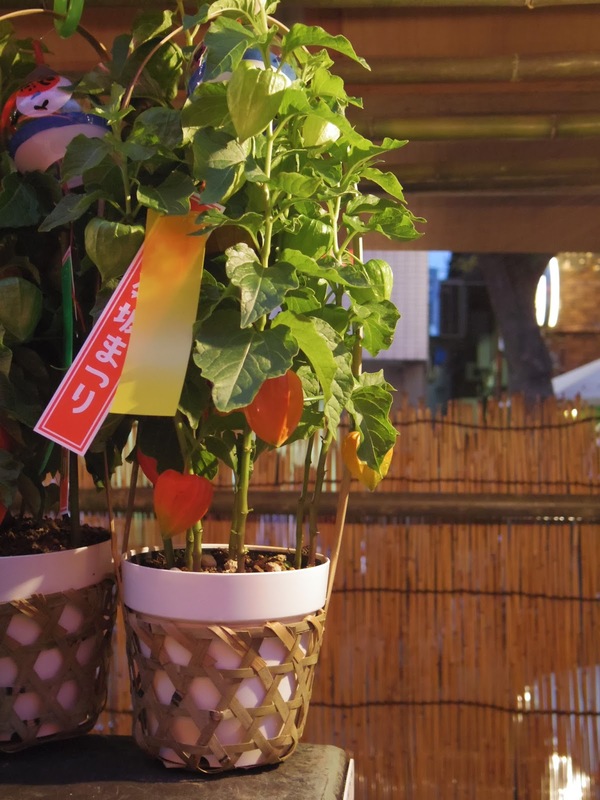 The first two days feature the Hozuki-ichi (Chinese lantern plant market) and the last two days feature the Awa-odori (Awa dance). 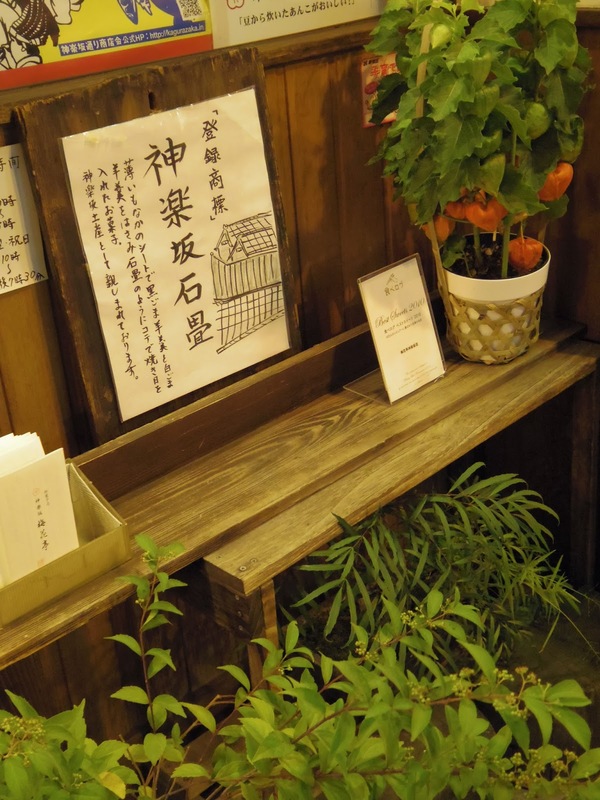 Almost every store along the Kagurazaka street had a hozuki plant decorating their doors. 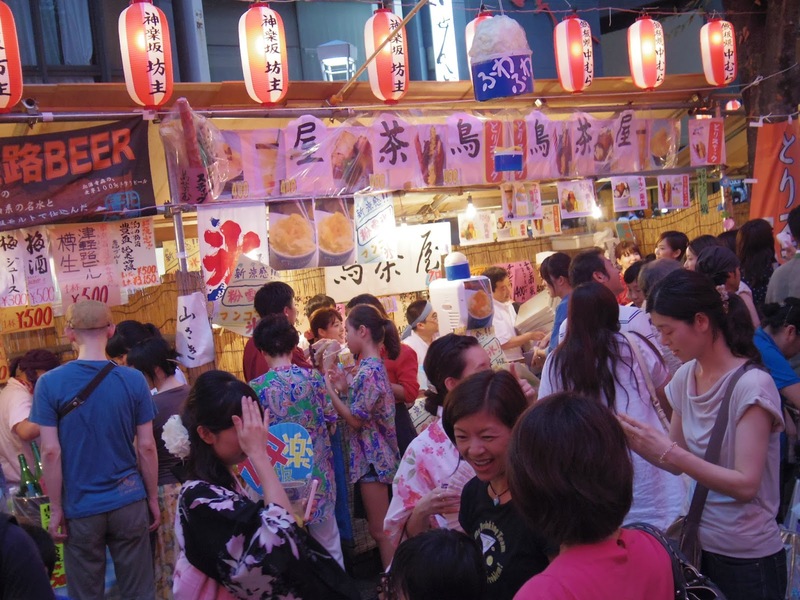 Food vendors and people in yukata are a plenty at any festival. so you’re ancestors can find their way back home easily. 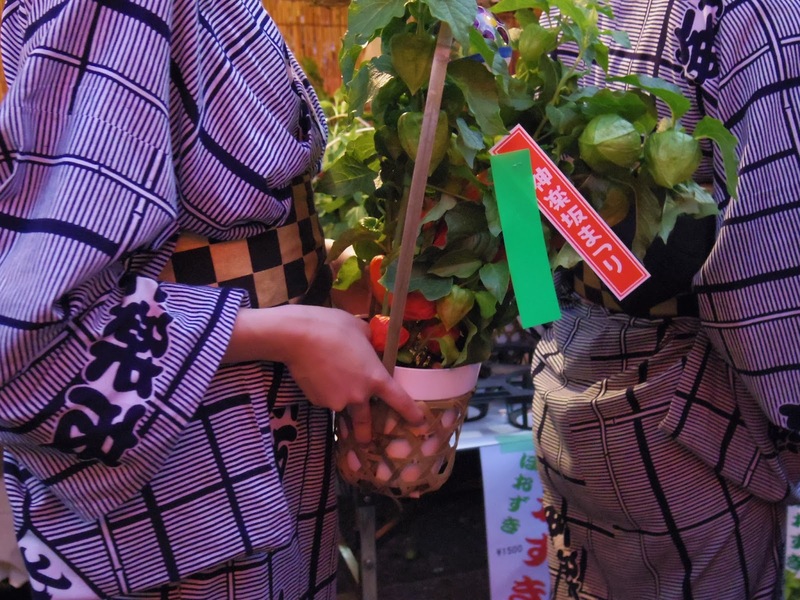 Girls in yukata were selling the hozuki plant for 1,500 yen. 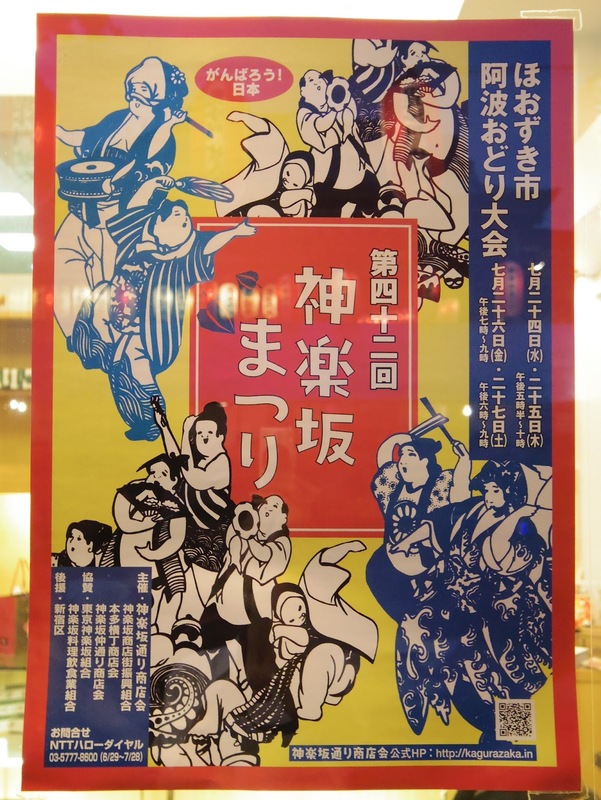 The Kagurazaka Festival poster…love all the dancing going on there. 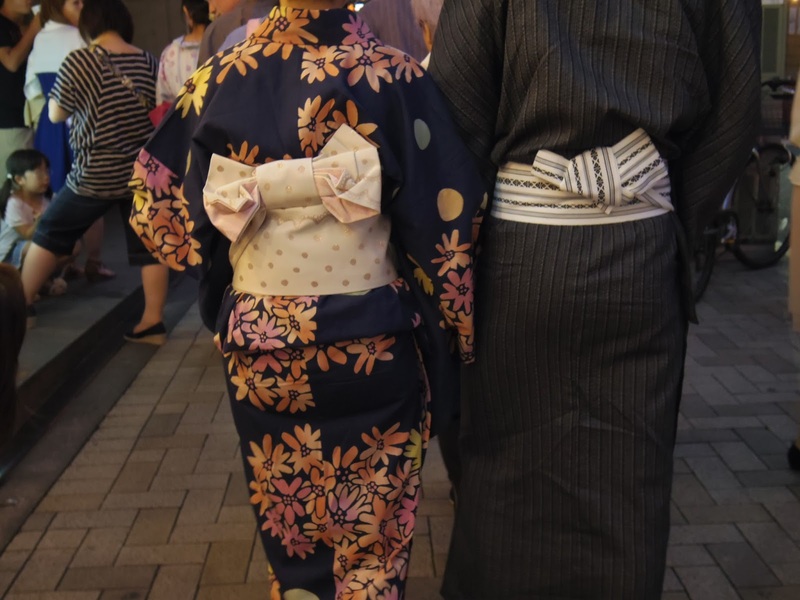 It’s always a pleasure seeing people wear yukata at a festival…maybe next year for me! 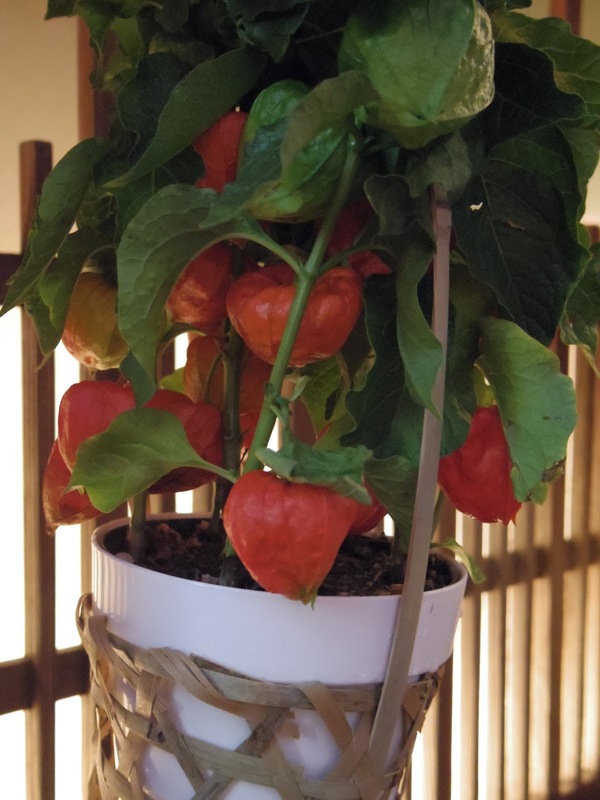 You can see the green lantern seed gradually changing it’s color to orange. 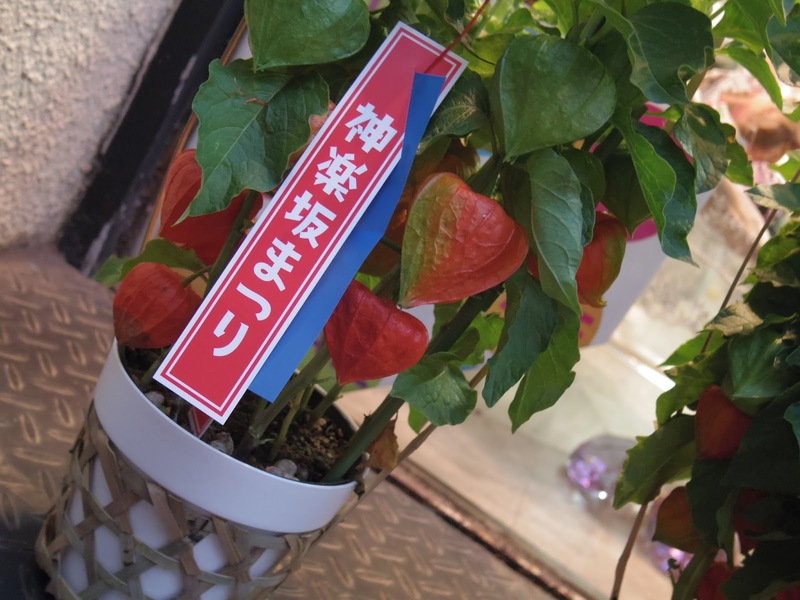 It felt festive just holding a hozuki plant while walking around with everyone! 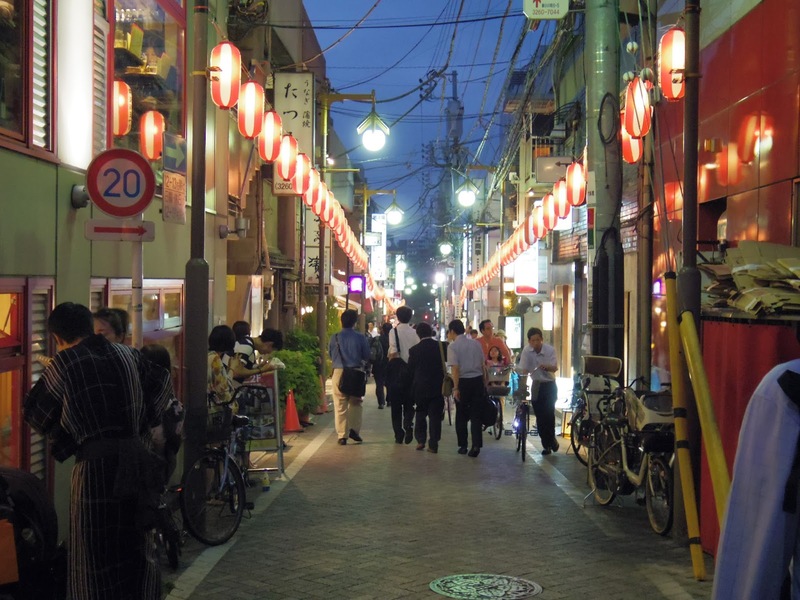 Kagurazaka also has the best cafes and restaurants, too!